Ben Nolan, DVM, PhD, DACVIM (SAIM), completed his Doctor of Veterinary Medicine degree at Tufts Cummings School of Veterinary Medicine in 2005. After a one-year internship at Alameda East Veterinary Hospital in Denver, he returned to Tufts for a three-year residency in small animal internal medicine. Dr. Nolan earned his board certification in 2009. From 2009 to 2011, he worked as a staff internist at Ocean State Veterinary Specialists in Rhode Island before moving to Wisconsin in 2011, where he worked at the Veterinary Specialty Center until 2013. 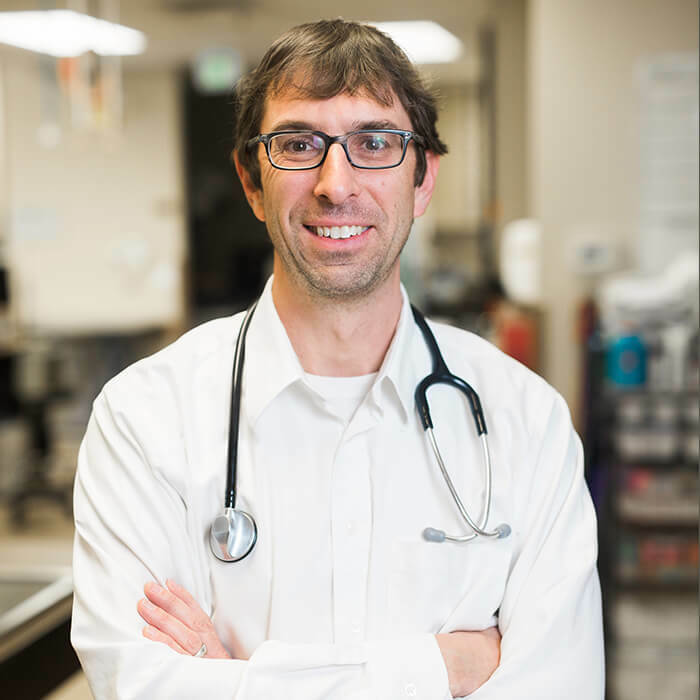 Prior to pursuing veterinary medicine, Dr. Nolan received his PhD in inorganic chemistry from Colorado State University in 2001, conducting research in lithium ion battery technology. He is a staunch CSU Ram fan and enjoys spending time in the mountains, both hiking and skiing. At home, Dr. Nolan likes spending time with his large animal family of three dogs, named Salty, Alli, and Emma; two cats, named Gretchen and Isabelle; and his wife, Dr. Kelly Monaghan. Nolan B. Reducing Antibiotic Resistance. Vet Rec 2013;173(22): 547-548. MA: Calcium Oxalate Uroliths. Current Veterinary Therapy XV 2013. MA: Feline Acute Kidney Injury: 1. Pathophysiology, Etiology, and Etiology-Specific Management Considerations. J Feline Med Surg 2012;14(11):775-784. Monaghan KN, Nolan BG, Labato MA: Feline Acute Kidney Injury: 2. Approach to Diagnosis, Treatment, and Prognosis. J Feline Med Surg 2012;14(11):785-793.